This is still unconfirmed, and it’s worth noting that we’ve seen this rumor pretty much since the release of the original iPhone in 2007. But this is the first time a major publication has published new information pertaining to the rumor of a Verizon iPhone, and it’s the best indication yet that this might actually be happening. The Wall Street Journal reports that for its next iPhone, Apple is actually splitting production into two separate tracks, to be completed by two separate manufacturers. The GSM iPhone, which is otherwise known as the AT&T iPhone we all know and love, will continue to be produced by Hon Hai Precision Industry Co. (Foxconn), of Taiwan. But Apple will allegedly be using Pegatron Technology Corp., also of Taiwan, for the CDMA iPhone supposedly due for Verizon. CDMA is a lesser-used wireless technology worldwide, although here in the States it’s the most popular, used by Verizon and Sprint (AT&T and T-Mobile both use GSM). The wireless chips needed for these two network types are different enough to require completely new manufacturing, so it does make sense that Apple would simply split up the production of these two very different pieces of hardware. Pegatron, by the way, is best known as the manufacturing arm of Asus. The timing is a bit odd, to be sure: the Journal claims full-scale mass production will begin in September. But Apple has a strict release schedule, and new iPhones debut in June. The next GSM iPhone for AT&T is expected to be announced this coming June, in accordance with that schedule. Mass production beginning in September for a Verizon iPhone would put it in play for the 2010 holiday season, but would be contrary to Apple’s typical schedule. It’s not enough to make us write off the rumor entirely, but it’s unusual. 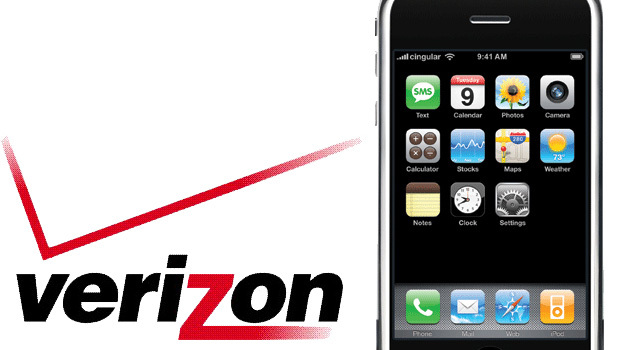 A Verizon iPhone would change the smartphone landscape dramatically. Verizon is the nation’s biggest wireless network, with the most customers, and bringing the world’s hottest smartphone to that network would spell trouble for Android, Windows Phone 7 Series, and probably doom Palm to an even faster demise. AT&T has long had an exclusive contract with Apple, though it is possible that the contract is simply nearing its end–and it’d be in the best interest of Apple and its iPhone OS platform to spread the phone to Verizon. It’s important to remember that we’ve been hearing this rumor since there was an iPhone, and while this is a very big development in that rumor’s life, it’s still very much unconfirmed by Apple or by Verizon. But if it’s true, this is very big news indeed. And they have no actual details of the next-generation iPhone. Nothing. the third-party multitasking in iPhone OS 4. 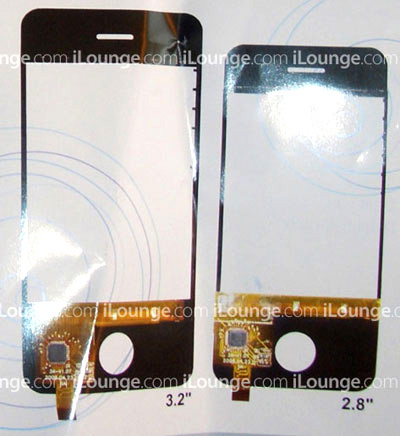 Those specs are pretty bog-standard “next iPhone” rumor specs. The iPhone does desperately need a bump in screen resolution (use an iPhone next to a Droid or Nexus One if you don’t believe me), though 960 x 640 is an odd and very very high screen resolution, almost that of the iPad. The current iPhone’s processor is outdated and soon to be antiquated (thanks to the rise in popularity of the 1GHz Qualcomm Snapdragon chip), and the A4, seen in the iPad, is a good bet to make an appearance in the next iPhone. iPhone OS is also the only modern platform to refuse to support third-party multitasking (Android, WebOS, and BlackBerry all support it), and that’s another point that’s been rumored since the iPhone 3G. So basically, like the Verizon iPhone rumor, these are pretty much all classics–all very plausible, but none are new or unexpected. A front-facing camera would bring apps like video chat that are likely to give AT&T’s network whatever the wireless equivalent of a hernia is, so even though that’s another oldie but goodie, I’m still not sure I believe it. Gruber has been right on Apple rumors in the past, though he’s been wrong at least as often. But these are all predictions anybody who’s been paying attention would call no-brainers, so while they may well be true, I’m not prepared to treat them as breaking news just yet.